Maya Road + Xyron = Awesome! This week Xyron is working with Maya Road and I have to tell you, I love the combo! I may have a slight addiction to Maya Road. I actually used a combination of my own goodies and some of the TONS of goodies they sent us. 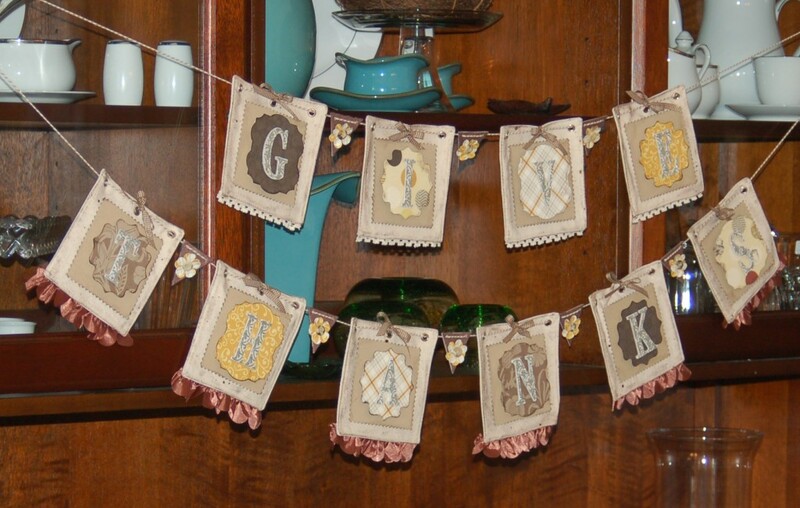 I decided to make a banner for Thanksgiving (or any time really) with my products. The base of this banner is actually almost two books worth of pages from the Maya Road 3-ring Square canvas album. I used a total of ten pages to spell out “Give Thanks.” (See all of their canvas albums here). I really wanted a layered look so I combined paper cut with pinking shears and die cuts with my Maya Road chipboard letters to make the main part of the banner. The mini banner pieces are also by Maya Road, and so is that awesome twine. That stuff was great to work with. It is so sturdy! I covered those little banners with tissue paper that I ran through my 2.5″ Create a Sticker machine. I wanted some texture and color on them, and I like the way they came out. Then I added some punched flowers and buttons with my 3/16″ High Tack Adhesive Dots. The trims were added on the back side of the banner pieces with some 1/4″ Xyron High Tack Tape. That gorgeous brown satin trim (that I need to go shopping for and stock up on) is by Maya Road, and the lace is some Teresa Collins that I bought a while back. 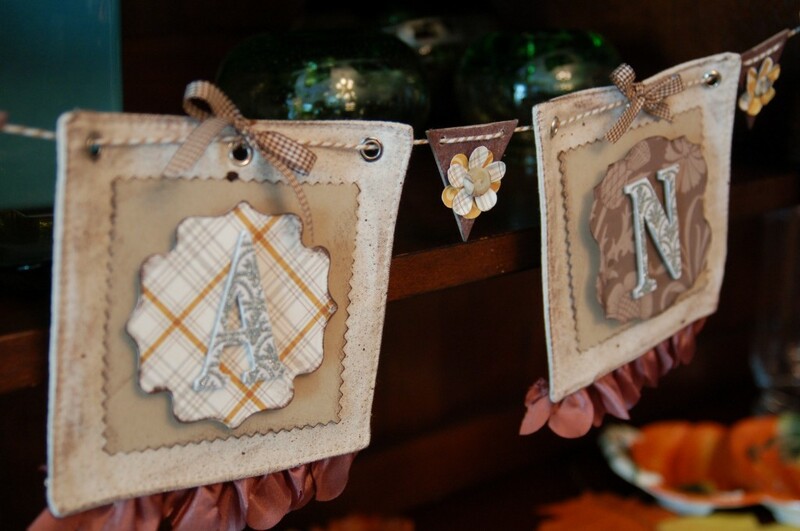 I added the kraft paper squares with the 3/8″ High Tack Adhesive Dots by Xyron, then attached the die-cuts with foam dots from the Teresa Collins adhesive kit, and the letters went on with some of my fabulous foam tape that I make with my Xyron machine. I wrapped the end of my twine with some scotch tape to make it easier to thread through all my pages and chipboard pieces, and trimmed the ends long so that it would be easier to hang. I tied bows on each piece as well. That is pretty much it! I hope you like it! 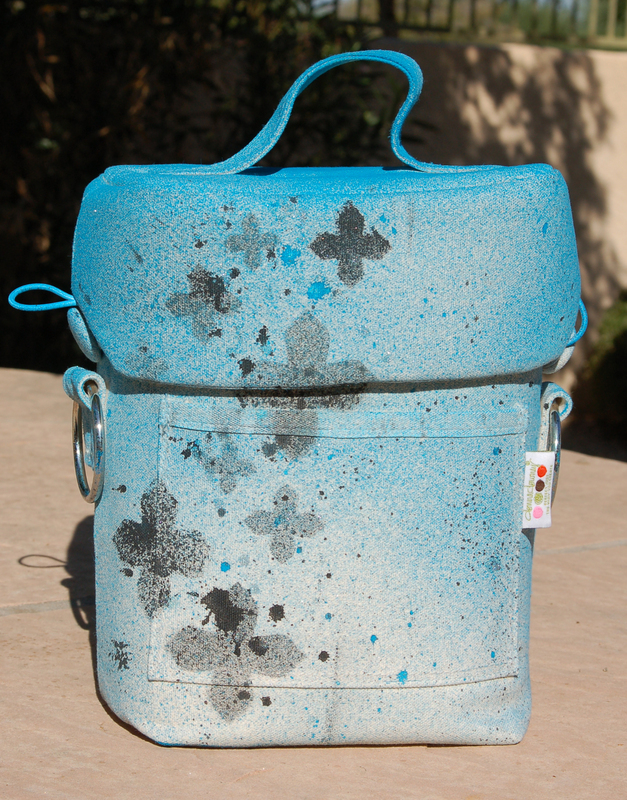 Be sure to stop by Beth’s blog all week for prizes and projects by the very talented Xyron DT! Previous postXyron and Stencil Girl fun! Next post30 Days of Holiday Projects! I love this banner, is so beautiful!!! Very nicely done! I love the banner! Beautiful. Thank you for sharing it with us! A cute banner! The colors really speak Fall. I love how you tied the little bows in the center hole.